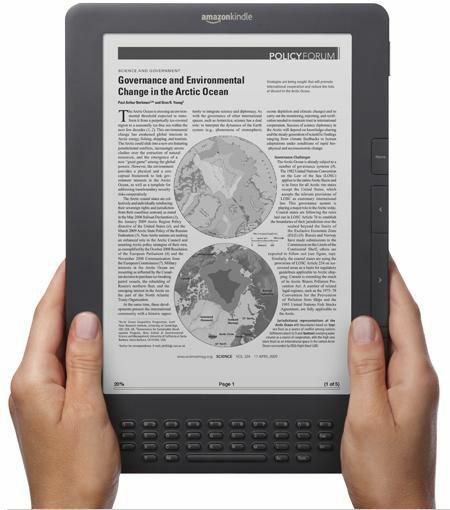 This month Amazon announced the Kindle Amazon Unlimited, an innovation that industry commentators are nicknaming “Netflix for books”. This service can provide access to half a million e-books and audiobooks for as little as 10 bucks a month. 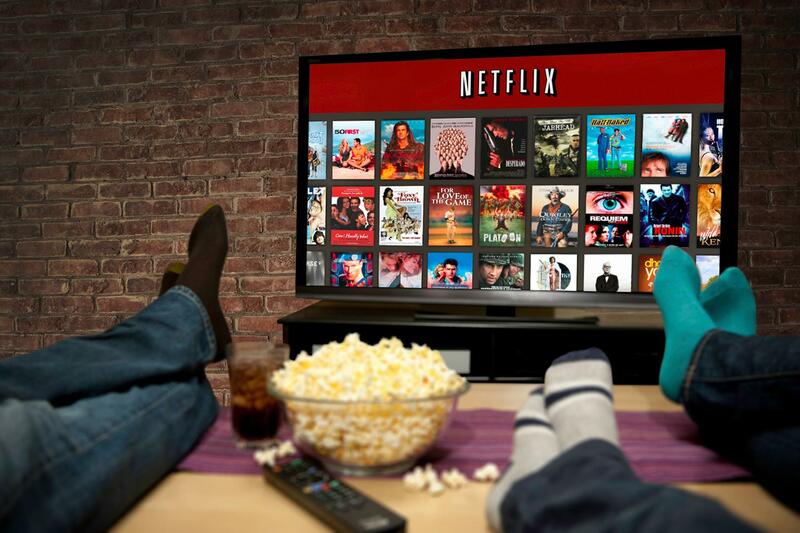 The nickname refers to that online non-piratical convenience store for devotees of the latest blockbuster series. Publishers and authors are understandably worried that this discounted opportunity could send the price of books plummeting. My first thought was a mostly selfish one, fearing a diminishing income for fellow authors. As a consumer I might benefit from the development, but at what cost? I come not to bury e-books but to praise them. The debate can never be as simple as “only connect” versus “connectivity”. I’ve heard the arguments for and against: all the convenience pros versus the technical cons, all the aesthetic yeas versus the weight-and-bulk nays. Sure it’s easier for frequent fliers and business trippers to carry the equivalent of a text iPod in their pockets rather than a library in their briefcases but who hasn’t heard the other side of the ledger: complaints about battery life, upgrades, cracked screens and network problems? These are usually tendered in evidence for the prosecution by traditionalists citing the relatively cheap and easy replacement costs of a conventional book, and even its tactile and olfactory advantages as a device to be browsed, marked and personalised. Come on, let’s face it, the e-book isn’t going away. I can’t remember the last time I used a telephone book or even a street directory. I use online dictionaries all the time; they’re usually more up to date than their print versions. Examples of book and e-book convergence will only grow. But why must we regard reading as an either-or choice? In his closing address to the Sydney Writers’ Festival a couple of years ago, American author James Gleick stated that the car is more efficient than the bicycle, yet we still ride bicycles, just no longer for the same reasons. Likewise the electric guitar might arguably offer greater capability than the (back-formation alert) acoustic guitar, but we love our acoustic guitars. One innovation hasn’t killed off the other. They exist in the same zeitgeist. All of us have our acoustic and electric moods. And this is the principal reason why I prefer (second back-formation alert) the paper book. It’s unplugged. 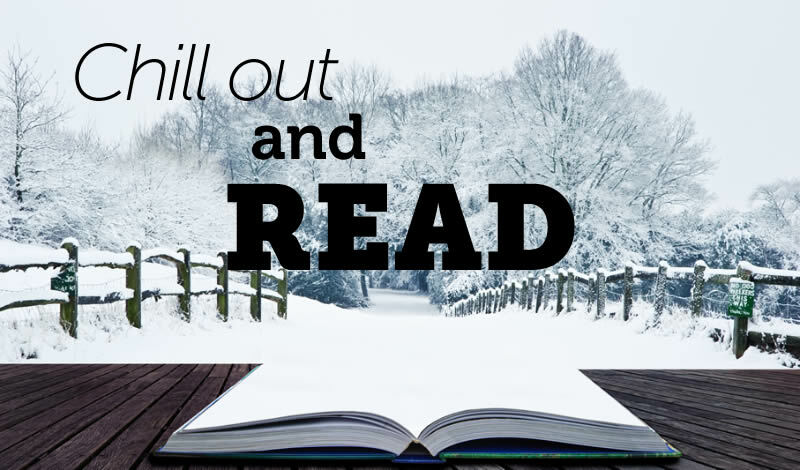 During those oasis moments when immersed between a book’s covers, I unplug too. Sure, the book as we’ve always known it is a form of technology, albeit predating the industrial revolution, but it isn’t a mere machine. The book is also an artifact. Some of my favourite volumes predate my time on Earth. I own editions belonging to my grandfather and his father, passed down as family and cultural heirlooms. Some editions have lasted better than others but not one has suffered from formatting difficulties or required an upgrade to be read. Best of all, they remove me from the grid. On a beach, a riverbank or in the back yard, I can enjoy digital-free time. No distractions, no pop-ups, and no advertisements. Not the smallest bleep of a message or cookie or nagging calendar. I get lost, soaring through worlds of the imagination with not a digital reminder to drag me back. Time out. These days my daughter is doing her first year at university but when she was a toddler her favourite trick was to crawl to our bookshelves and dislodge every volume of the bottom row. Drawing on reserves of parental patience, I would sit on the floor and start putting them back. Then I would find a forgotten narrative treasure from childhood or adolescence or my own undergraduate days. Lost horizons came once more into focus. You can’t do that trick with a Kindle, nor can you escape the plugged-in present. Books take me beyond. They have their own power source. We all know it. Some of us have eaten it. And we know it’s bad for us. But what is it? The original Spam, from the 1930s, was a brand of tinned (canned) food convenient for camping and long-term storage. Marketed as an abbreviation for ‘spiced ham’ in fact it consisted of pre-cooked pork, a bit of ham, various emulsifiers and a coating of aspic. Yum. Then along came the Monty Python team who created a sketch in the 1970s featuring people in a cafeteria where everything on the menu includes spam, such as this item: Lobster Thermidor aux crevettes with a Mornay sauce, garnished with truffle pâté, brandy and a fried egg on top and Spam. One customer vigorously objects to Spam. Then, for no apparent reason, Vikings appear, chorusing in Welsh-choir formation an ear-worm theme (‘Spam, Spam, Spam, Spam, Lovely Spam, Wonderful Spam…’). Surreal and amusing. But how did we move from this silly sketch to a plethora of unwanted emails? There is debate about the origins of this word for junk email. While many people claim that it can be traced directly to Monty Python, others point to the original word as inspiration. After the Second World War, Spam was immensely popular in the UK as well as its native USA, mostly owing to its cheapness and abundant supply. Spam was especially popular with the economically disadvantaged. In the 1960s it was often used as a synonym for cheap quality on account of its near-ubiquity, its homogeneity of taste and its low cost. The Monty Python sketch is amusing partly because it plays to these attributes. Then along came bulletin board users in the 1980s with their Multi-User Domains (MUDs). It became a fad to repeat the word ‘Spam’ many times to crowd out or push other text off screen. 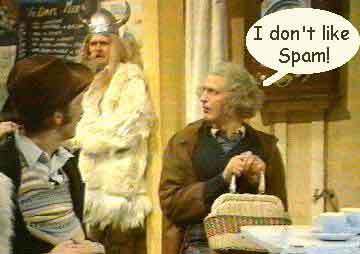 In the embryonic period of AOL (America On-Line), users often quoted ad nauseam from the Monty Python sketch. In those days of slow response times, a whole lot of junk text would frustrate users, who described this practice as ‘spamming’. This unsociable behaviour became a form of bullying, whereby rival factions of fans could flood one another’s chat rooms with unwanted material, e.g. Star Wars aficionados bombarding Star Trek chat rooms. From there it’s only a short step to our contemporary notion of bulk junk-mail posting. But then a strange thing happened to Spam. It strayed into the same linguistic space as the rhyme word ‘scam’. That yucky aspic taste and those chunks of pork took on the ham as in ham-actor connotation (a whole new digression there) whereby Nigerian princes and lottery winners and confected sob-stories became both spam and scam. In countries like Nigeria and Russia, where unemployment among computer graduates is high, a black market has developed in new versions of the snake-oil salesman that would put P T Barnum to shame. 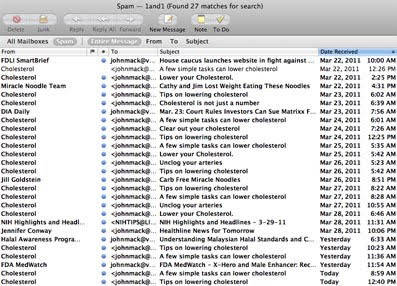 Spam has even jumped out of computers into the flesh world, via the guerrilla marketing method known as ‘street spam’. Posters or fliers are pasted in streets, on construction sites, in laneways, on telephone poles, fences and motorway hoardings. This kind of spam is used by political parties, fringe lobby groups, concert promoters and retailers. Spam is all around us in the form of T-shirts and in wall-to-wall advertising on the clothing of sports stars. Turning on free-to-air TV, we can glide past entire channels devoted to nothing but ads: spam by another name. It’s as if that damn song never stops. Not content with the old Monty Python ditty, even Weird Al Yankovic has a spam song. 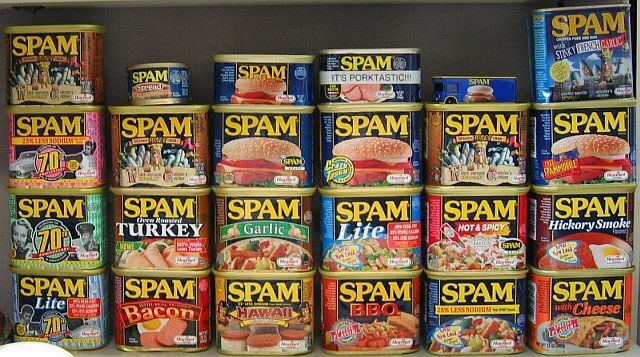 And now we have a blog post dedicated to Spam. Too much. Need a salad.